Some months ago I bought this figure, and I would like an opinion on this statue carved on ivory and painted. 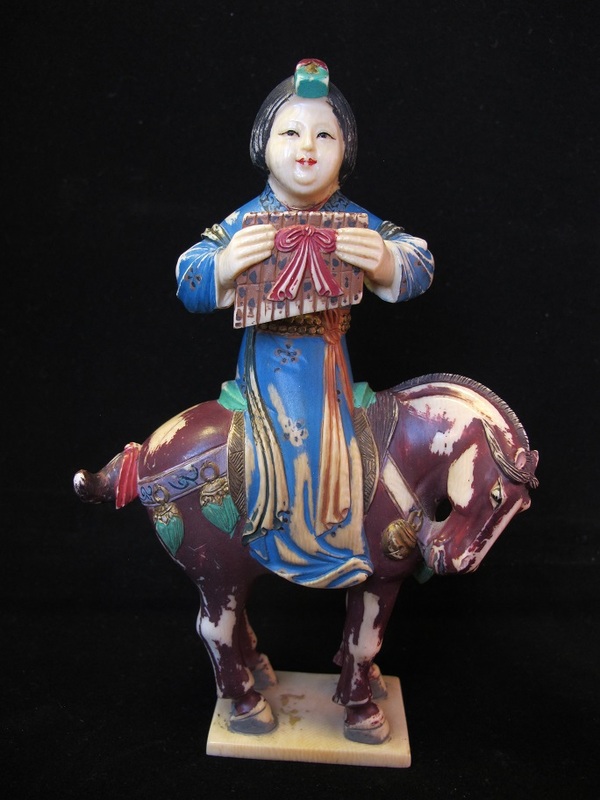 I have been looking for a similar carved figure, but I don't found nothing. It seems Chinese, but I'm not sure. I would like to know the age of it? Subject:Re: Help with this carving! Well it appears to be genuine ivory. As to how old, judging by the carving style early 20th century. Any marks or signature on said item? I have something similar although I don’t know the size of your piece. Mine is about 3” tall and the head slips out to reveal the inside slightly hollowed. I can’t offer much additional it’s unmarked, I’d agree with mark on his assessment.